As part of the Localization Partner Program, we’ve been working tirelessly in conjunction with our partners worldwide, to translate all system content and interfaces into various languages. So far, the program has been a roaring success and we’ve even made Spanish, Arabic and Chinese Versions of our interfaces live! Over 400 resellers have been contributing to this initiative and today we’d like to feature Khalid Shahalawy for his instrumental role in helping us make the Arabic Version of our Control Panel live. Khalid’s own motivation for completing these translations led him to complete it in record time and for his role in this entire process, we’re providing him special incentives such as discounts on Domains, Hosting and SSL Certificates. Here we have him talking about his business and his thoughts on the Localization Partner Program. Please tell us a bit about you and your business? I started off in the Technology sphere as a teacher in 1992. 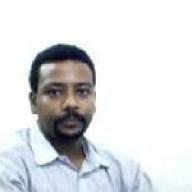 Internet services were brought to our region around 1997 and I was actively involved in the making it available to the common citizens of Sudan. Now I not only specialize in offering Web Hosting and Web Design Services to my clients but also in Computer Applications Courses, Computer Maintenance and Accessories, Technical Support etc. What prompted you to join the localization partner program? Having a local website has become an essential part of business today so when ResellerClub introduced this translation program, I was almost certain that I wanted to be a part of it. With various big companies like Google, Facebook, and Wikipedia along with other web service companies offering Arabic versions of their products to the local market, I didn’t want to lag behind in this race. Most people believe that it is difficult to work on a parallel project when you have a huge number of responsibilities to fulfil towards your core business i.e. domains and hosting in your case. Didn’t this thought cross your mind? To be honest, I always had a positive attitude towards this project right from the beginning. Since Arabic is my local language, I knew that translating a few pieces of text from English to Arabic wouldn’t be a very difficult task. It did take me some time to get used to the translation system but within a few days I had mastered the process. At the end of the day, I knew this was going to add value to my own business so, there was even more motivation to complete it at the earliest. Now all that was required from my side was a bit of time management and ResellerClub provided me with a lot of flexibility on this front. I could work on the translations whenever I wanted at any time of the day and make sure that this wasn’t affecting my core business in any way. Many of our readers are also translation partners, and I’m sure they’re curious to know if you had any kind of strategy that you implemented to ensure that you met the translation targets you had promised to achieve when you first signed up. When I started translating I wasn’t sure of the numbers that I could achieve. But yes, the target was always at the back of my mind as I had committed to achieve the same. The Localization Partner Manager at ResellerClub helped me chalk out a translation plan that gave me a fair idea about the time that would be required from my side per week to reach the numbers. But there was no pressure at all; there were weeks when I had other commitments and could not work on the translations at all and then there were other weeks where the work pressure was less and so I could over achieve my target. However, I always ensured that I balanced it out and made sure that I was on track by the end of each month. So now that the Arabic version of the Control Panel is live, how does it feel? Also, you are one of our few partners who have received special discounts on various products as promised – How is this going to benefit your business? Firstly, I’m ecstatic that the Arabic Control Panels have gone live and what makes this even more special is that I am one of the major contributors to this language. It was never about discounts for me really. I wanted to provide my customers with interfaces in their local language so that they feel more comfortable and the interfaces are easier for them to use. With the launch of the Arabic Control Panel, I have achieved my goal. Of course with the additional incentives and discounts on various products, I will be able to run special promos and programs to capture more market share which is obviously the icing on the cake. What is your concluding note to our readers who are or wish to be a part of the translation program? I would say that the ResellerClub Localization Partner Program is a place where you have full control to decide what should show up on your interfaces and what shouldn’t. The translation process is easy, simple and completely worth the effort. All the Localization Partner Managers at ResellerClub are always available to help you out and work with you to make the translation process as simple as possible. With the ever increasing demand for local interfaces, all web service providers should consider this as an opportunity to reach out to local customers. It is a great way to bring more customers on board and create a standing in the local market. A big thank you to Khalid Shahalawy for helping us with the Arabic versions of our Interfaces and for taking time out to talk to us! If you wish to be help us with these translations, you can sign up for the Localization Partner Program, here.